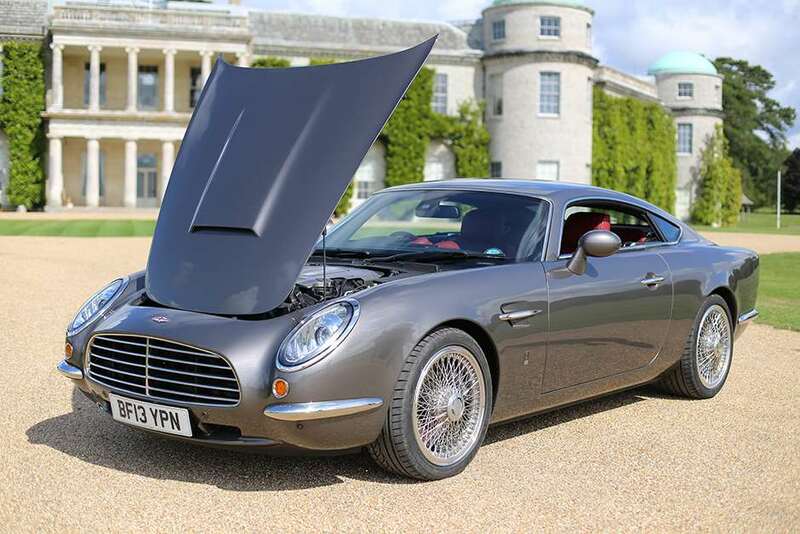 Goodwood - Best of British: David Brown Speedback driven; does the wire-wheeled modern classic have a place in 2014? 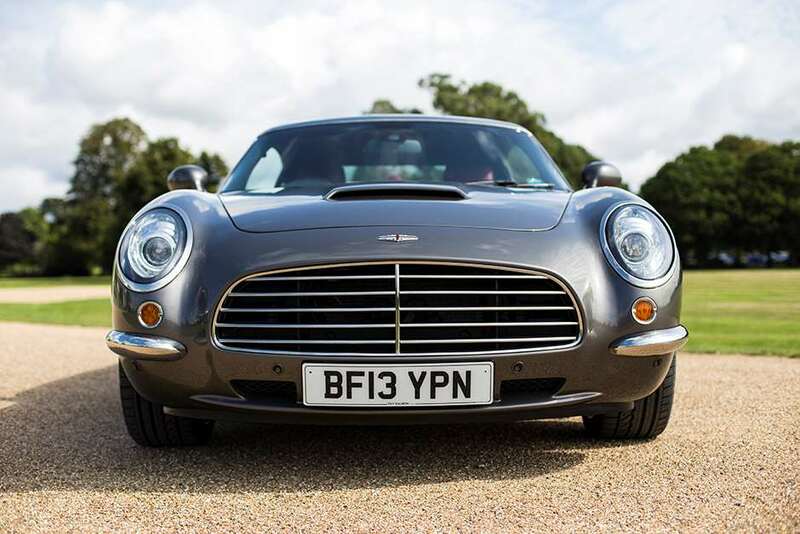 Best of British: David Brown Speedback driven; does the wire‑wheeled modern classic have a place in 2014? 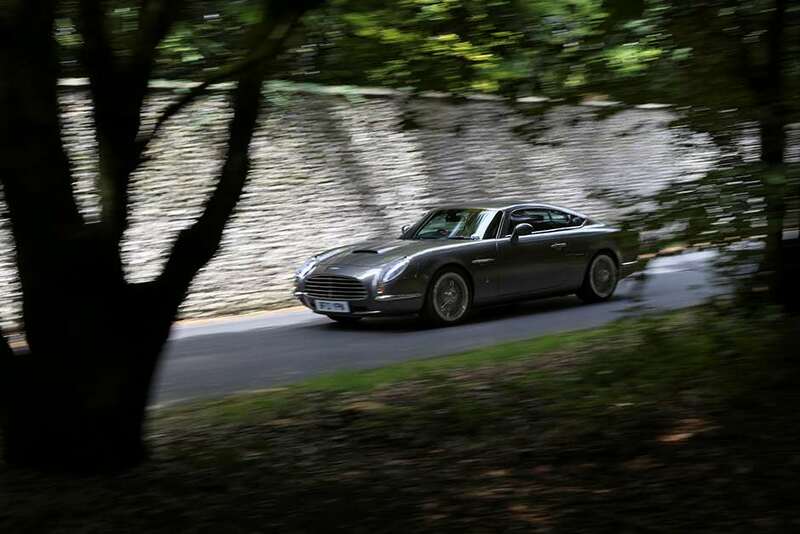 For all those keen to dismiss it as just a bit naff, the David Brown Speedback GT must be proving a major disappointment. However much of a modern-day pastiche of the Aston Martin DB5 it might be, the Speedback is turning out to be a hard car to dislike. A lot has happened in the time since the eponymous David Brown revealed his creation at FoS in June. We knew then (because we told you, refresh your memory here) that the Jaguar XKR-based marriage of 1960s style with 2014 technology was a) a real crowd puller, b) very well put together, and c) frighteningly expensive. 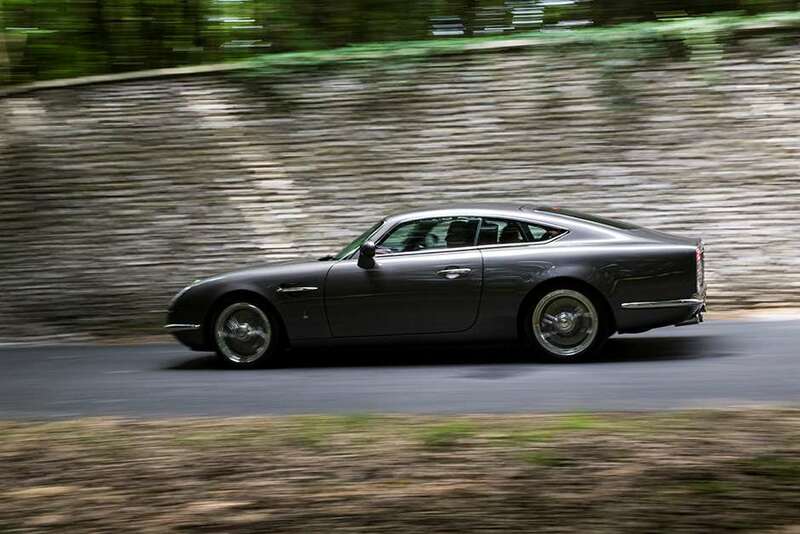 Now we discover that, after the first road tests, the Speedback GT, with its supercharged XKR V8 and sporting chassis, comes with a large thumbs up from some of the country’s top muttering rotters. All the big mags and websites have pronounced on it and the consensus is that it’s a very well executed piece of work, even if, at £594,000, you really do have a right to expect that (plus a heck of a lot more besides). And now it’s our turn to decide. For a car company boss (already a successful businessman in his own right) David comes across as an engaging straight-talker happy to do whatever’s necessary for his baby. Every chance he gets he is wiping it down with a chamois, checking the tyre pressures – and gushing non-stop about it to us or random passers-by who express an interest. It’s clear that where the Speedback GT is concerned David is owner, driver, financier, PR man, designer, mechanic, purchasing chief and he is most definitely head of sales. His polymath nature is all a bit like that ‘write the theme tune, sing the theme tune’ joke. Hang on though. He does sing it. 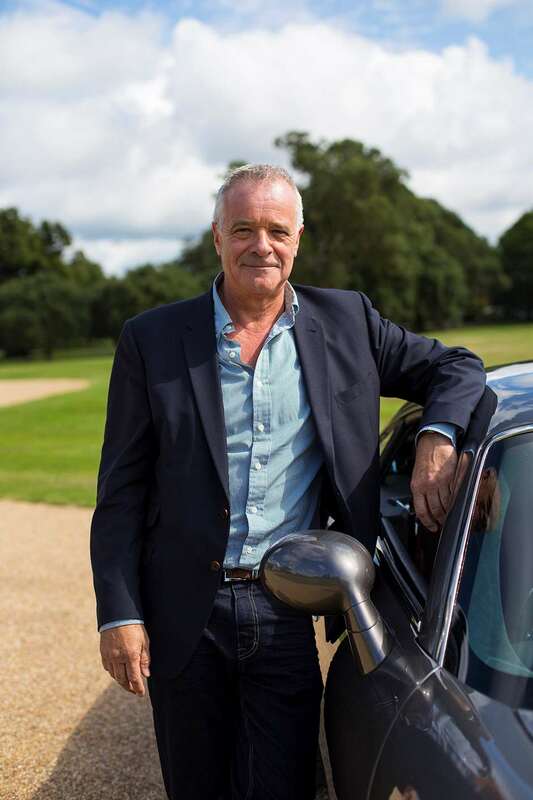 In what has to be an automotive world first, the car comes preloaded with a David Brown selected playlist (Cliff Richard and Petula Clark to Van Morrison and Led Zeppelin) that finishes with Behind Blue Eyes by The Who – as sung by David Brown. And yes, he can sing. I am trying to concentrate on the car but it’s difficult with David talking; he covers a lot of motoring topics. So what’s the car like? Squeaky. 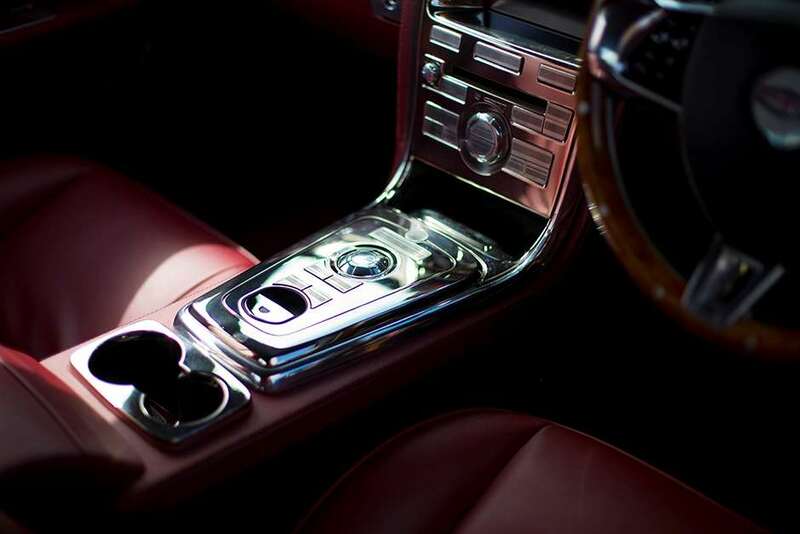 The leather of the seat fouls some trim and makes a racket when you drive. The seat doesn’t go back quite far enough for the tall. 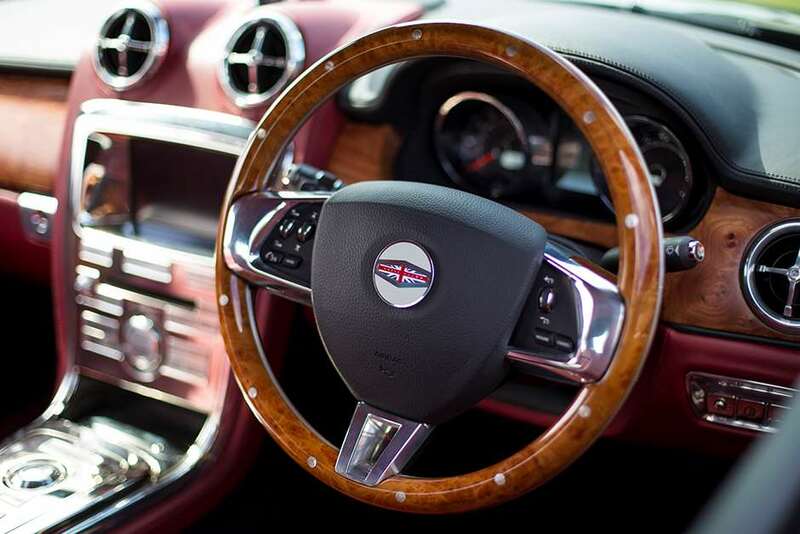 The polished wooden steering wheel is a bit slippery. And it’s impossible to know what’s what on the centre stack; each button’s function is meant to be spelled out in lights through minute perforations lasered into the aluminium touch pads. It’s a typically modern (and undoubtedly expensive) solution. But it doesn’t work. Just four things to fix in the sole prototype of a new car that only existed as a line on a piece of paper 18 months ago? Surprising but true, and also testament to the new companies and new techniques, such as 3D printing, that Brown says have made the project possible. ‘Someone from one of the big car manufacturers said to me they didn’t know how we could have made a car to this quality so quickly. I said to them, I didn‘t know how they couldn’t.’ Few meetings and instant decisions ‘that don’t involve a marketing department or beancounters’ are undoubtedly further reasons for the project’s rapidity. As David says, all the key decisions were made solely by himself and his designer, former Land Rover stylist Alan Mobberley. 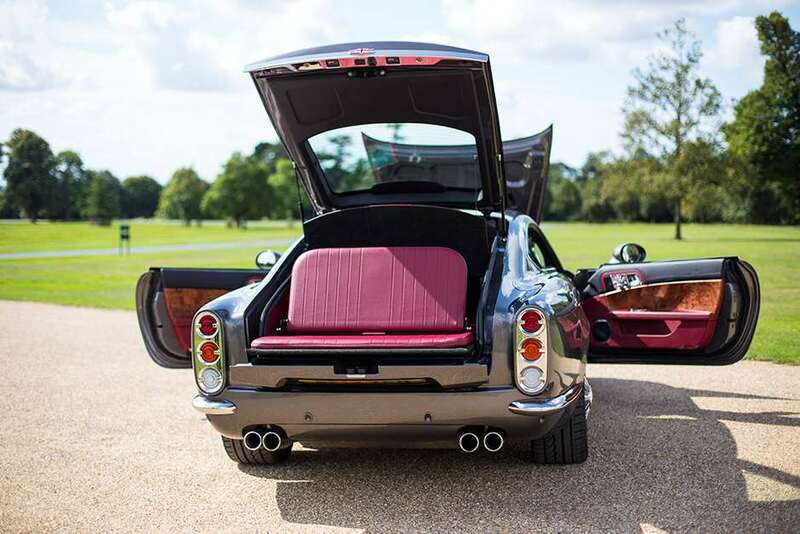 The impact the Speedback GT has made has surely been helped by the fact that the project was announced, the car had its world debut (in Monaco), it had its UK debut (at FoS), and it hit the road for independent road tests all within the space of four months. No slow-burn PR hype here. But back to our test. Squeaky it might be but the leather is lovely. As is the elm wood. And all the nickel-plated aluminium details. As hard as you try, it is impossible to find a rough or unfinished corner. It’s equally impossible to find any proprietary bits. Even the best specialist manufacturers use other people’s components sometimes, surely there must be some here, apart from the Jaguar’s unseen greasy bits? Well, we can reveal there are: the eyeball air vents are from the latest Mercedes A-class. At least the gubbins is; the vents themselves are finished with bespoke aluminium trim featuring the recurrent ‘claw’ motif that Alan Mobberley has used successfully all around the car (those rear lights for example). It’s this level of British craftsmanship and attention to detail that far outweighs the thought that this is just a Jag XK. Certainly there are no external Jaguar giveaways, despite the XK’s internal monocoque structure forming the basis of the car up to just below the waistline. The hand-rolled aluminium panels and different angles to the screens (all the glass is bespoke) ensure it’s not at all like a Jaguar. Meanwhile, the marriage between ’60s style and 21st century tech – wire wheels and LED headlights, an engraved solid aluminium fuel filler cap with electric remote release – is a seamless one. Jaguarness, then, never comes into it – on the inside as well – but the advantages of having a top quality engineered product behind the bespoke veil certainly do. 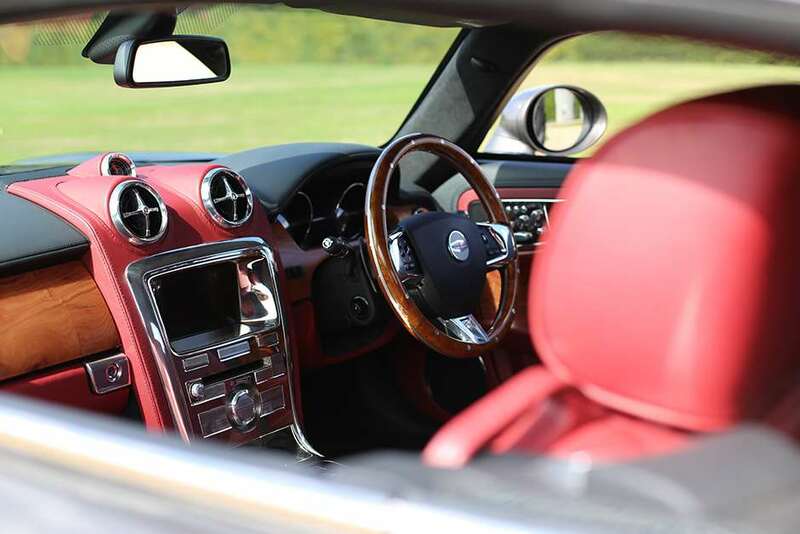 Room, access, comfort, ergonomics, driving position and pedal layout – plus of course all the XK’s regular back-room functions from heated and cooled, 16-way power adjustable seats to parking sensors, satnav and stability control – all work as well here as they do in any other quality modern car. So from the off, the Speedback GT is very easy to get on with. The 503bhp supercharged 5.0-litre engine from the XKR woofles magnificently – if pressed, you would pick it for the Jag unit – and the view down the bonnet is a fine one. As is the view to the pillarless sides; both front and rear windows retract completely for a very elegant line. To drive, the car feels entirely finished, thoroughly developed (those seat squeaks aside) and extremely well made. The ride feels nicely supple even on bad roads. Rattles, vibrations, loose bits, odd noises – nope. David Brown needs make no excuses for it. With its sub two tonne mass, the car feels every bit as fast as the XKR – that’s 4.8secs to 62mph and a top speed limited to 155mph. This car is always more about effortless, instant torque than sprinting though, and in that regard the performance is immensely satisfying, despite the rather lazy six-speed-only slushbox transmission, the biggest giveaway of the XK’s now eight-year age. All good then? We hope so. It deserves to succeed. But there is that matter of £594,000. It doesn’t take much imagination to know what totally wonderful other cars –new, old, continuation models, latterday recreations… – you can get for that. David Brown’s gamble is that potential buyers will have fulfilled their automotive dreams already. If they want an Eagle E-type or a Singer Porsche it will be in their garage by now. This is something new and different. 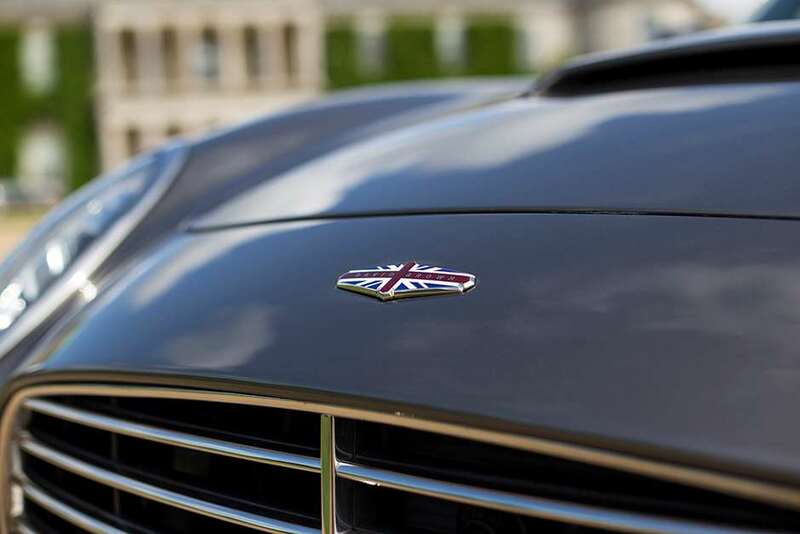 Five are in production at the moment, says Brown, after a last-minute change of assembly company – each Speedback GT will now be put together by the Premier Group in Coventry, the company that made the Queen’s ceremonial Bentleys. No harm in that connection. Each of the five have buyers’ names next to them, in Germany, the Middle East, Switzerland, the UK and Spain. Part of that is limiting the run to 100 cars. It sounds like a lot to us but that they may not be all be coupés might help; the hint is that a convertible, shooting brake even a limousine version could follow. Given the amount of custom bodywork and the undoubted talents of Alan Mobberley, plus Jaguar’s apparent support, there’s clearly a lot more that could be done. Rear engined Renaults are back! Is the oversteer?